Do you need a golf cart for the VIR Hoosier Tire SCCA Super Tour 2019 event? 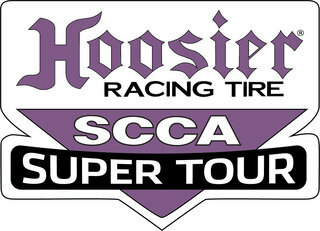 The Hoosier Tire SCCA Majors Tour is the pinnacle of championship racing in North America.This isn’t Easy Street. This is where America’s best amateur drivers race. It means start-to-finish, wheel-to-wheel action. It’s where drivers not only put their cars on the track, they put their pride on the line. Make no mistake, this is not a country club driving. The kindred spirit found here is mixed with fuel and emotion. Adrenaline pumps a little harder here. Take a close look. It’s not for everyone. If you long for the flag that welcomes or denies you, we have a spot for you. Welcome to the Majors. Please have driver’s license and Sales Order number available when picking up a cart. Individuals must be licensed drivers of at least 18 years old to pick up and drive the cart. Renter is required to fill out a National Carts rental waiver. *If you do not receive your confirmation email containing Sales Order number within 24 hours of purchase. Please submit your request here: support@nationalcarts.com. Rain or Shine No refunds will be issued once reservation is placed. Cars must be returned by 5 PM of last day of reservation period, (or within 2 hours of the end of the last race on that day) to avoid a late charge. National Carts reserves the right to charge for carts that are not returned to Golf Cart Compound before the rental term is concluded. Locks are STRONGLY encouraged to avoid theft. All cars are similar in style and age. Keys are interchangeable. National Carts will have Cable, Lock, and Key available. National Carts reserves the right to charge for lock replacement if the Cable, Lock and Key are not returned intact and operable with the car. No additional carts will be issued due to a lost or stolen cart.